Our world has been enormously transformed since the advent of digital technology. Smartphones, tablets, wearables… numerous devices that can connect to the Internet have changed our daily lives, mainly, the way we share information. In medicine, where a large amount of data is handled every day, it has been inevitable the arrival of a digital infrastructure in order to help to manage such a volume of information. This is the case for the Electronic Health Record (EHR), a system that gives healthcare professionals the ability to access information when and where it is needed (1) and which has being widely adopted by the medical community (2). However, it seems obvious that current technology should be able to offer more functionality than a simple data warehouse. Capabilities, such as alerts against abnormal laboratory results, detection of potential risks in medication prescription, recommendations supporting best practice… those are the next step in the evolution of health systems in this new digital era. A Clinical Decision Support System (CDS) can be broadly defined as all software designed to aid in clinical decision making. Given this definition many users can fall into the error of associating CDS with simple alerts in the form of pop-ups. However, alerts are not the only (or necessarily) the best way to support the decision. A pop-up can only work after the event has occurred, for example after prescribing an incorrect dose of medication. But on many occasions, it would be positive if assistance occurred before the event, as a suggestion during the prescription. Computerized alerts and reminders for professionals and patients. Order sets for a specific medical condition. Abstracts and reports focused on patient information. In turn, this great diversity of functionalities can be deployed in different platforms, such as mobile devices, cloud, local network, etc. This way, the goal is to give the medical teams appropriate and qualified information, no to replace clinical judgement, but to assist health staff in making higher quality decisions. Right information. The information must be based on proven clinical knowledge and respond to a real need. Right person. The recipient of such information may be any member of the medical team, including the patient himself, who in many cases is neglected as an active participant of the health care processes. Right channels. The means by which assistance is provided shall be tailored to the needs of the user, i.e. mobile devices, patient portal, EHR, etc. Right intervention format. The aid should be presented in the most useful and understandable possible way, i.e. order sets, flow-sheets, dashboards, lists of patients, etc. Right workflow point. Information should be provided at the appropriate time of the workflow, i.e. when it is necessary to make a decision or take an action. Aware of the need to provide CDS capabilities, Gradiant has tackled this problem from a global point of view, allowing the integration of CDSs by as many information systems as possible, such as EHR, mobile devices, medical websites, etc. Conceptually, the idea would be to enable software (SW) blocks to extend the capabilities of existing systems, in the same way that app store applications increase the basic features included on Smartphones. Services. The Service Oriented Architecture (SOA) is based on offering a certain functionality through an available interface. That is, using this type of architecture, we can offer different functionalities of CDS, besides facilitating the way in which other systems must invoke them. Open standards. Open standards ensure compatibility with as many systems as possible. Using open standards consolidated and supported by organizations of recognized authority, we facilitate the use of our CDS blocks by third parties. Some examples are HL7 DSS, InfoButton, FHIR, IEEE 11073, CDS Hooks, etc. Knowledge. Decision support must be sustained by as much reliable information as possible. 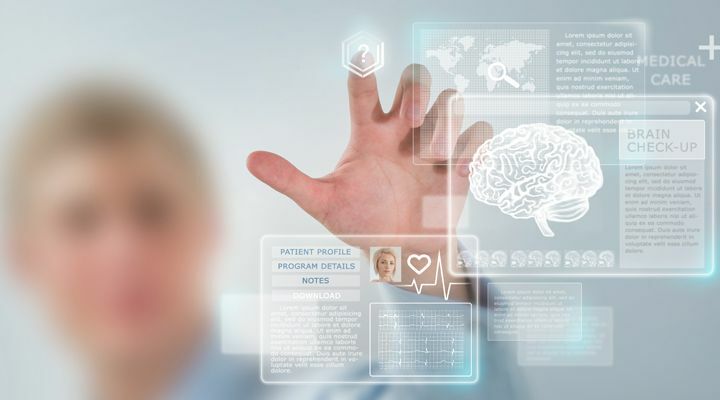 Not only from the point of view of medical knowledge, but also from the perspective of patient information, it is convenient to gather as much data as possible, starting with those housed by the EHR and ending with those generated by wearable devices. OpenCDS is an open-source software framework whose interface is available as a web service, receiving information relating to a patient and returning specific conclusions for that patient. What information is requested and what conclusions will be returned will depend on the knowledge module invoked from all those hosting a given OpenCDS.For the development of knowledge modules, Gradiant partnered with prestigious medical professionals. Some examples of implemented functionalities so far are the estimation of cardiovascular risk, the assessment of the risk of developing colorectal cancer, and in which situations colorectal tests are recommended, among others. The way the information is presented to the user is chosen by the OpenCDS client itself (e.g., the EHR). Any format is possible (alerts, summaries, suggestions…); however it is highly recommended to keep in mind the five attributes mentioned. OpenInfobutton is an open-source software framework, with the interface available as a web service. Its goal is to reduce the effort required to integrate online resources into electronic clinical systems. As input data, it receives the context of the request, which includes patient information (gender, age …) and type (internal, external, intensive care …); patient’s clinical system; task performed; location of service, clinical interest, etc. As a response, you get a set of online resources (scientific articles, web pages…) relevant to the request made. The sources to consult to obtain such resources can be configured in the OpenInfobutton’s own knowledge base. Thus, it will be possible that, for the same subject (such as low blood pressure), an infobutton recovers web pages that are easily understood by the common public if the consultation is performed by the patient or a set of medical articles if the consultation is performed by the attending physician. Again, creating this knowledge base is Gradiant’s goal. So far, modules on blood pressure and healthy living habits (for patients) and modules on colorectal cancer (for digestive specialists) have been created with the assistance of medical experts. Why should you provide clinical decision support? Decision support systems have come to stay. As argued, in the present new digital era, EHR systems cannot be understood without CDS functionalities. However, this fact is not restricted to EHRs. Following the five characteristics for a robust CDS, it is clear that decision support should be extended to other systems: pharmacy, patient portals, etc. As researchers, we must contribute to transfer this technology to companies in the eHealth business since clinical decision support systems are shaped as the logical evolution of many platforms. For this reason, Gradiant is making an important effort into the development of new software components and tools, besides their integration with open source blocks, to create useful, easily manageable, and effective CDS technology, allowing medical professionals to improve quality of care and patient safety. Autora: Victoria M. Cal González, senior researcher – developer from eHealth department at Gradiant. [] Levingston, S. A. (2012). Opportunities in physician electronic health records: a road map for vendors. Bloomberg Government, New York. Furukawa, M. F., King, J., Patel, V., Hsiao, C. J., Adler-Milstein, J., & Jha, A. K. (2014). Despite substantial progress in EHR adoption, health information exchange and patient engagement remain low in office settings. Health Affairs, 10-1377. Arnott, D., Pervan, G., O’Donnell, P., & Dodson, G. (2004). An analysis of decision support systems research: Preliminary results. In Proceedings of the 2004 IFIP International Conference on Decision Support Systems (pp. 25-37). Osheroff, J. A. (2012). Improving outcomes with clinical decision support: an implementer’s guide. Himss.